Posted in: Uncategorized. Tagged: Bulsara, Freddie Mercury, Last Photo, Queen. Came across this photo today of the great man himself. 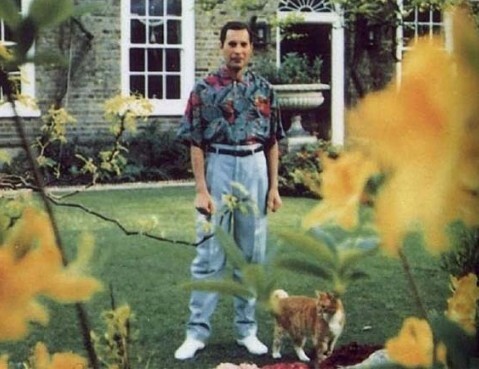 Turns out it is the last photo of Freddie Mercury before he passed away almost 24 years ago. Maybe that’s Delilah standing next to him? Brings it all home that we aren’t here forever. I hit the big 40 next year and cannot believe how quickly the last 20 years have rolled by. Queen are my all time favourite band and have been since I was a kid. Although I haven’t followed any of their stuff since Greatest Hits 3. Any non Fred content just isn’t Queen in my eyes. Here’s to you Mr Bulsara!